Mastering the court takes persistence. So will getting into college. 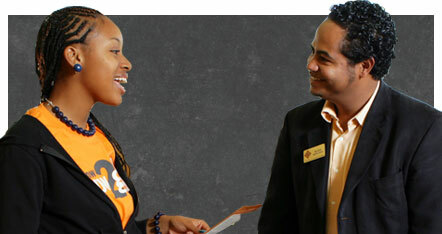 KnowHow2GO is a campaign designed to encourage students and veterans to prepare for college. Explore the site to learn more about the steps you need to take to be college-ready. Find an adult who can help you with the steps to college. Let everyone know that you want to go to college. And don't stop until you find the adult who can help. Colleges require you to take certain classes in high school. Find out which classes and sign up! Think about interests and activities that you enjoy. Explore colleges with programs that suit your interests. There’s money out there to help you pay for college. Apply for it.